Significance Many conditions may be treated effectively with Class IV Laser Therapy, including: Arthritis, Back Pain, Bursitis, Carpal Tunnel Syndrome, Chondromalacia Patellae, Fibromyalgia, Heel Spurs, Plantar Fascitis, Herniated Discs, Neck Pain, Whiplash, Nerve Root Pain, Post-Operative Pain, Repetitive Stress Injuries, TMJ Pain, Tendonitis, Tennis Elbow, Trigeminal Neuralgia, Trigger Points, Sprains/Strains, Swelling, and Wound Healing. 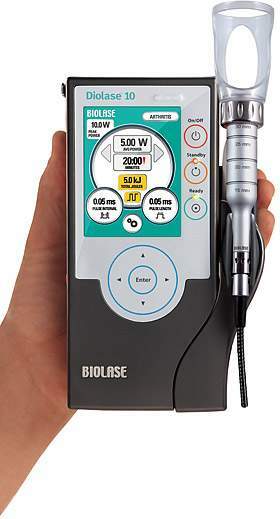 Features Class IV Laser Therapy, also known as photo-medicine and deep tissue therapy, is a type of therapeutic laser therapy that is painless and non-invasive. Class IV lasers are white, red, and infra-red light emitted from a handheld device over the affected areas. Function Class IV Laser Therapy reduces inflammation and alleviates pain. This is achieved by stimulating rapid healing of the soft tissue. How It Works Therapeutic lasers penetrate the skin tissue with light energy, which reaches to the deep tissues and activates the enzymes and metabolic functions of the cells of the target area. The light stimulates proper cell functioning and speeds up the healing process, thereby reducing pain and inflammation. The benefits of Class IV Laser Therapy include rapid healing of the joints, strengthening of the treated tissue, improved blood flow to the affected areas, pain relief, reduced inflammation, and an improved immune response.